The Holy Ganga – a river that is a lifeline to most parts of Northern India and one of the most important rivers in Indian culture. So from where does The Ganga originate? One of the major water sources of river Ganga “Bhagirathi” rises at the foot of Gangotri Glacier at Gomukh in Uttarakhand. But, it’s Devprayag where the river Bhagirathi and Alaknanda meets and form the Holy Ganga. So where is this Devprayag? 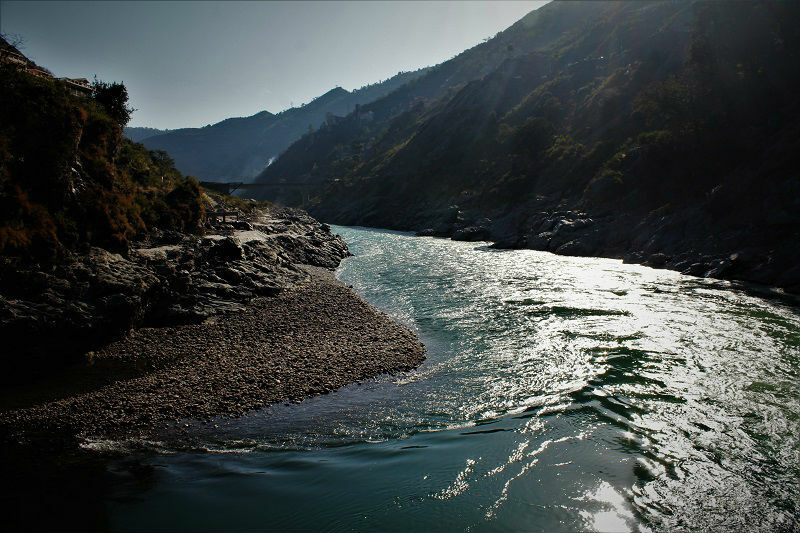 Located in the Tehri Garhwal district of Uttarakhand, it is one amongst the Panch Prayag of Alaknanda River. 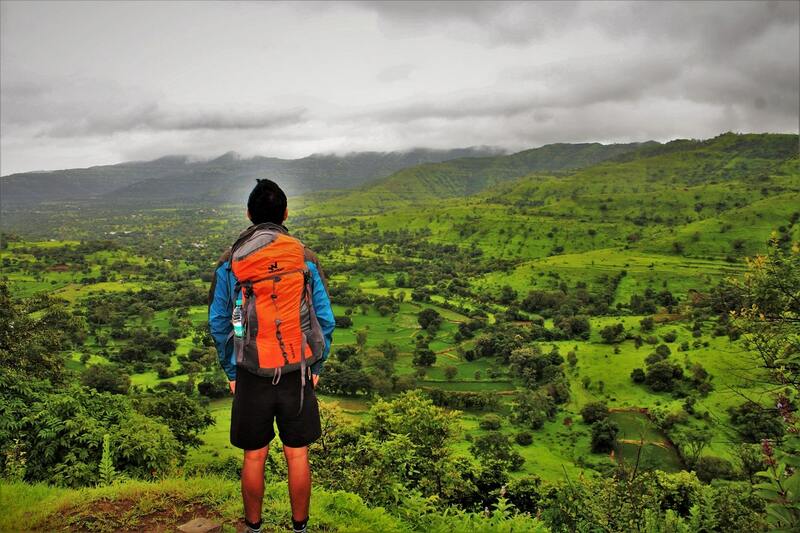 The town is surrounded by 3 peaks, named Dashrathanchal Parvat, Giddhanchal Parvat, and Narsinghancal Parvat. 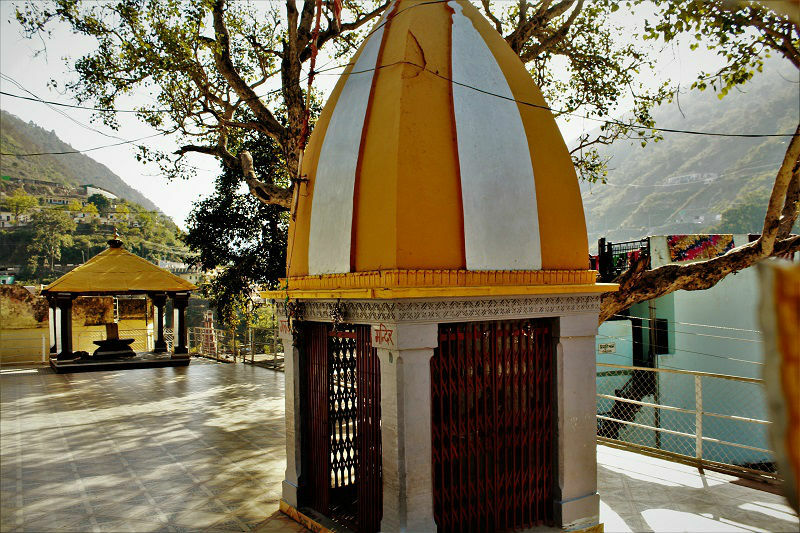 The town can be visited on a day trip from Haridwar or Rishikesh. 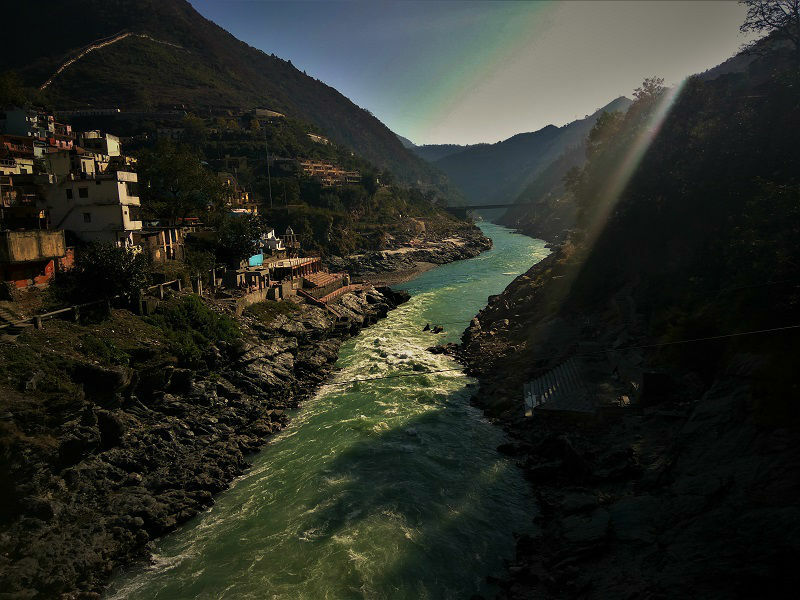 It is believed that Devprayag was the original place where the famous Kumbh Mela was supposed to be held, but due to lack of infrastructure and space, it moved to the holy town of Haridwar. The cheapest and convenient way to reach Devprayag is via railways. The nearest railway stations to Devprayag are Haridwar (94 kms) and Rishikesh (74 kms). Train frequency to Rishikesh from other parts of the country is very low and hence one can take a train to Haridwar. 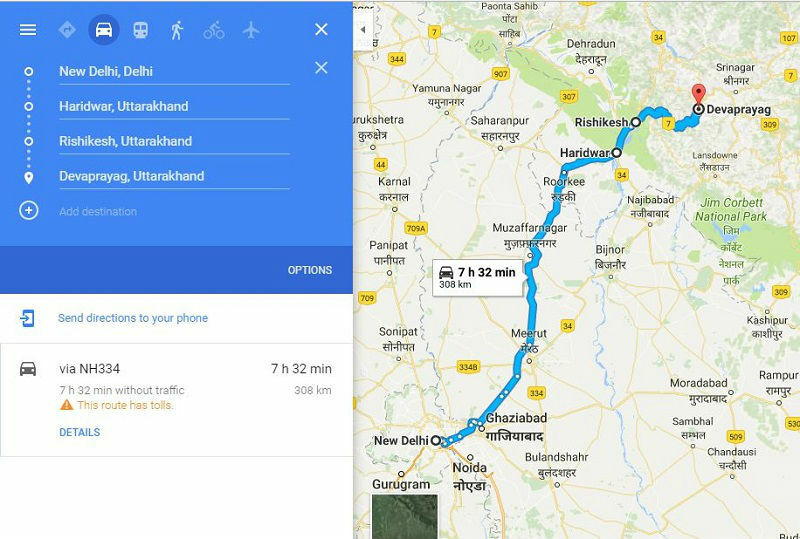 From Haridwar and Rishikesh, regular buses and shared taxis ply for Devprayag and takes around 3-4 hours to reach Devprayag. The fare for the same is in range of 100-150 INR. The town is very little and can be effortlessly covered on foot. 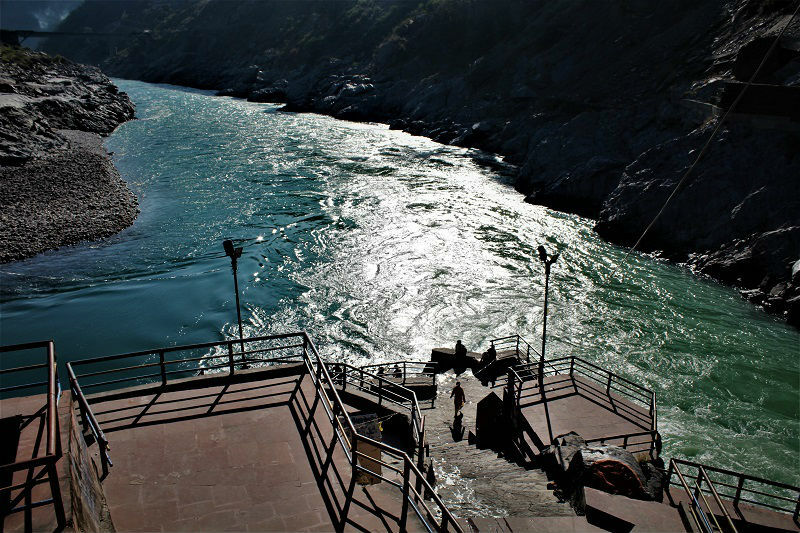 Devprayag is mainly divided into three parts. 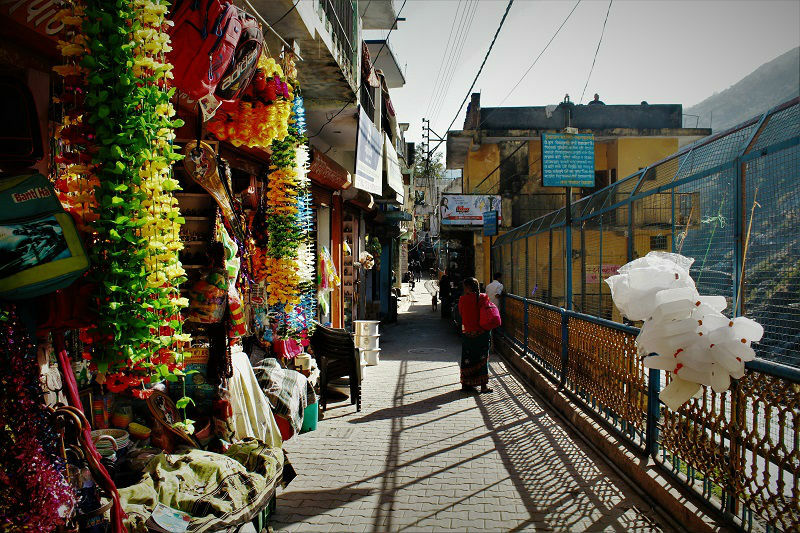 One on Pauri side is called Bah bazaar, the second one is the Beech bazaar which lies on highway number 58 and the Shanti bazaar which is the main bus stand of Devprayag. Strolling on the tranquil streets of Devprayag and viewing the delightful Ganga streaming all along would surely be a lifetime memory. 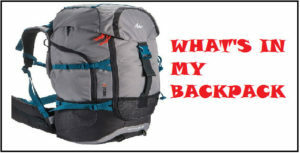 While I was exploring the beautiful town of Rishikesh, a question left me pondering. From where does the sacred Ganga water get such splendid colors just like the shade of an emerald? One of the local at Rishikesh told to me that to find my answer; I need to travel all the way to a town Devprayag. I had heard nothing about the place. 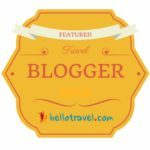 Since I had no fixed plans, I chose a visit to the town of Devprayag to find my answer. I took a bus from just outside of Zostel where I was staying in Rishikesh. With huge mountains in the background and river Ganga flowing along the base, the route from Rishikesh to Devprayag was one of the most picturesque I had ever traveled on. It took around 2.5 hours to reach Devprayag. As I entered the town, the first thing I could sense was the peacefulness. Being not as popular as the holy town of Haridwar and Rishikesh is what makes this place peaceful. 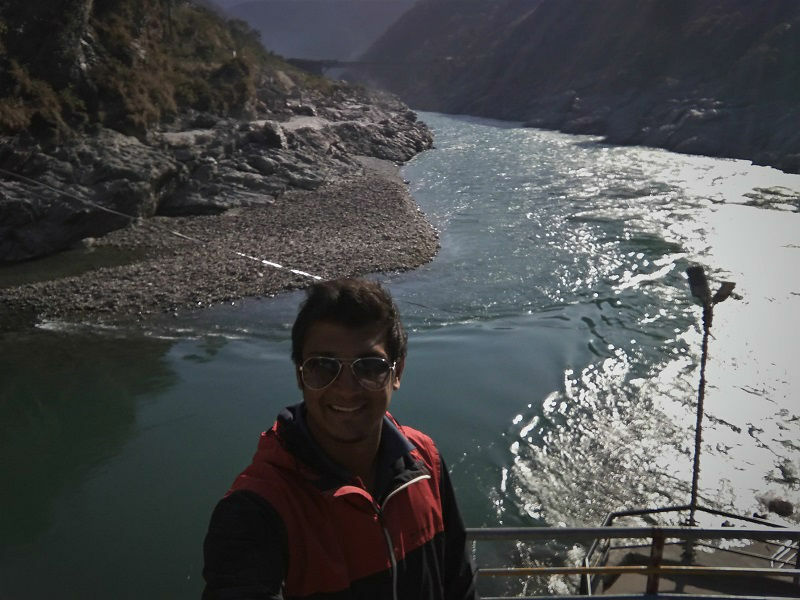 The first thing that I wanted to see was the Sangam of the two rivers Bhagirathi and Alaknanda that forms The Ganges. 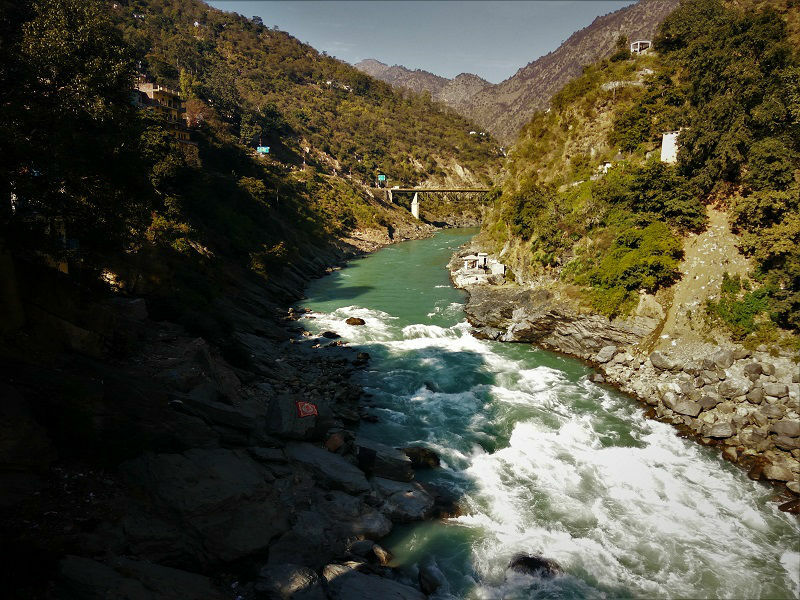 The place where the two rivers meet is called Prayag. 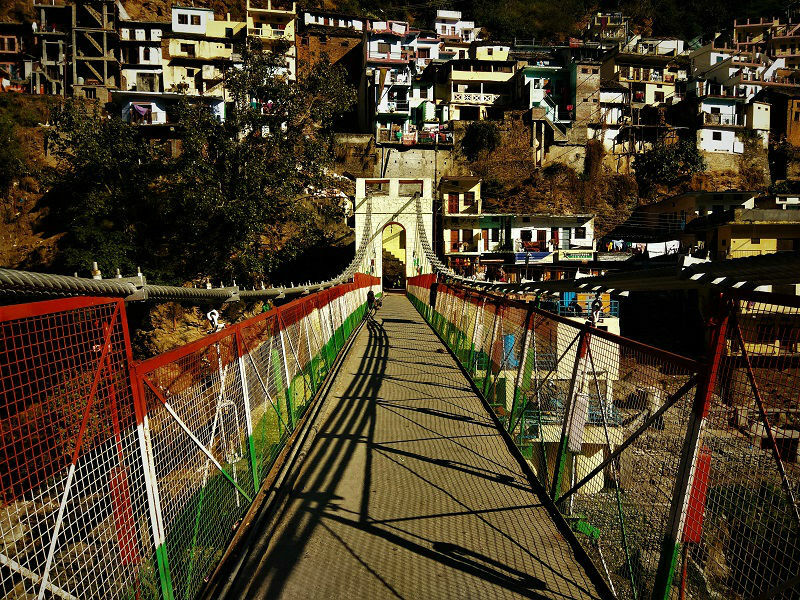 One has to walk a bridge and pass through the narrow bazaar streets of Devprayag to reach Prayag. Wow!! It was definitely one of the most wonderful moments of my life when I saw the Sangam. 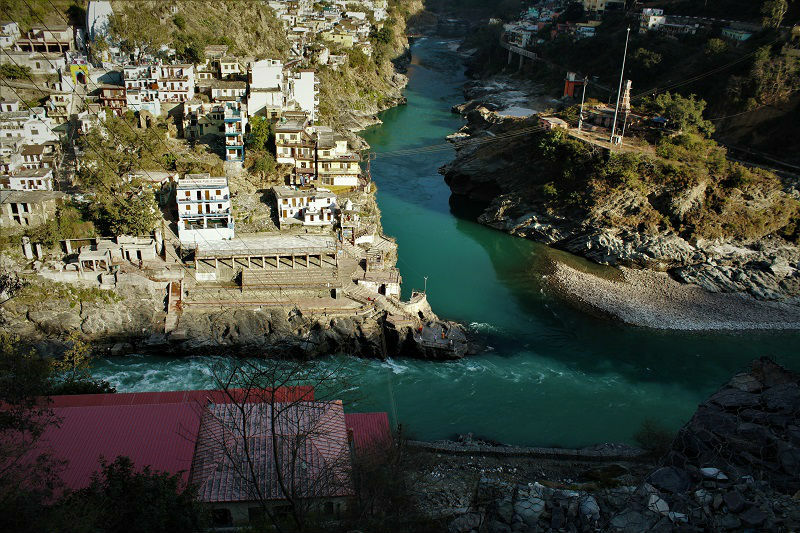 The Alaknanda is the one flowing on the left in shades of blue and one on the right is Bhagirathi in the shades of green. 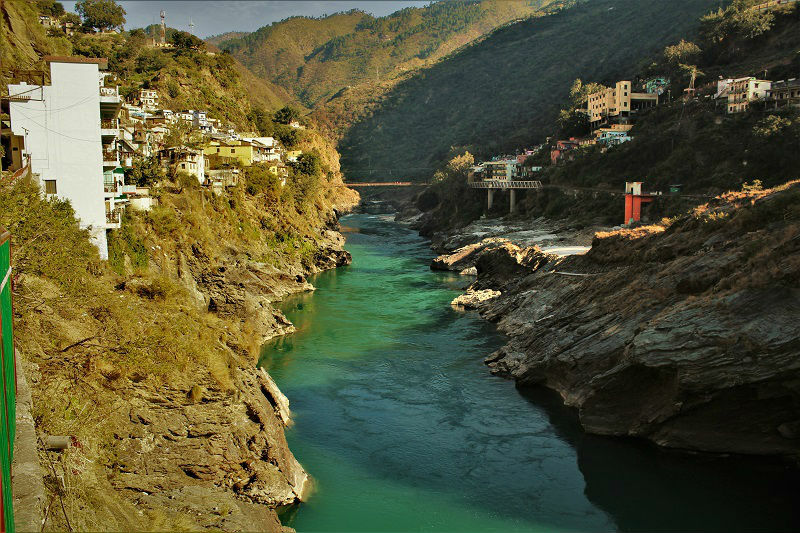 Alaknanda is the one which streams calmly while the Bhagirathi flows with much vigor. 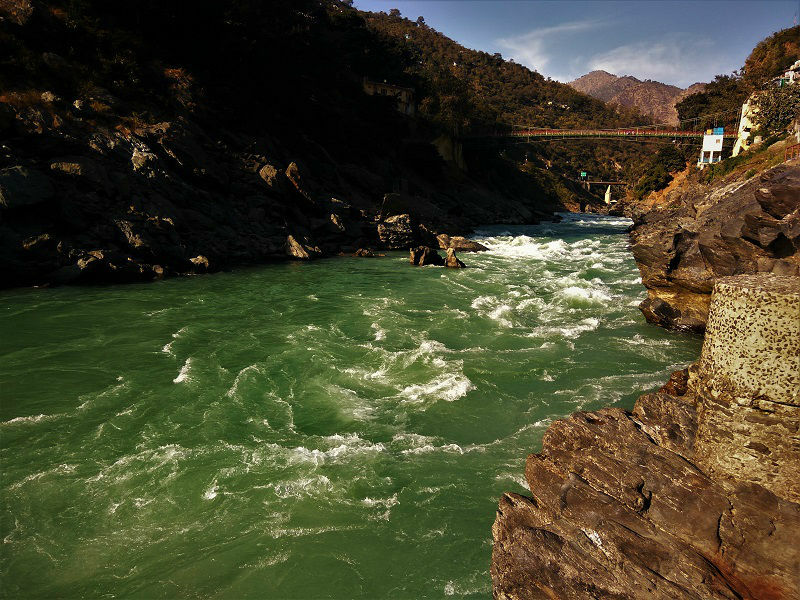 The two meets to form the delightful Ganga in shade of emerald. Here was the answer to my question!! There were numerous Babas’ on the platform asking the tourist if they wanted to do the Ganga pooja. I sat down on the stairs over there, meditating for a while. It was so quiet!! I could feel the sound which the two rivers made at the confluence. I felt in affection with the place and didn’t want to leave it. Built from huge rocks, the temple is believed to be 10000 years old. The temple is devoted to Lord Rama. One needs to climb around 100-120 steps to reach the temple. One can see the mixture of Buddhist and South Indian architectural designs on the walls of the temple. Try to attend the evening Aarti at the temple. Laid over the river Alaknanda and Bhagirathi, the bridges provide some stunning view of the flowing river with the beautiful town and huge mountains in the background. I spent almost an hour just standing over the bridge and glaring at the Sangam. 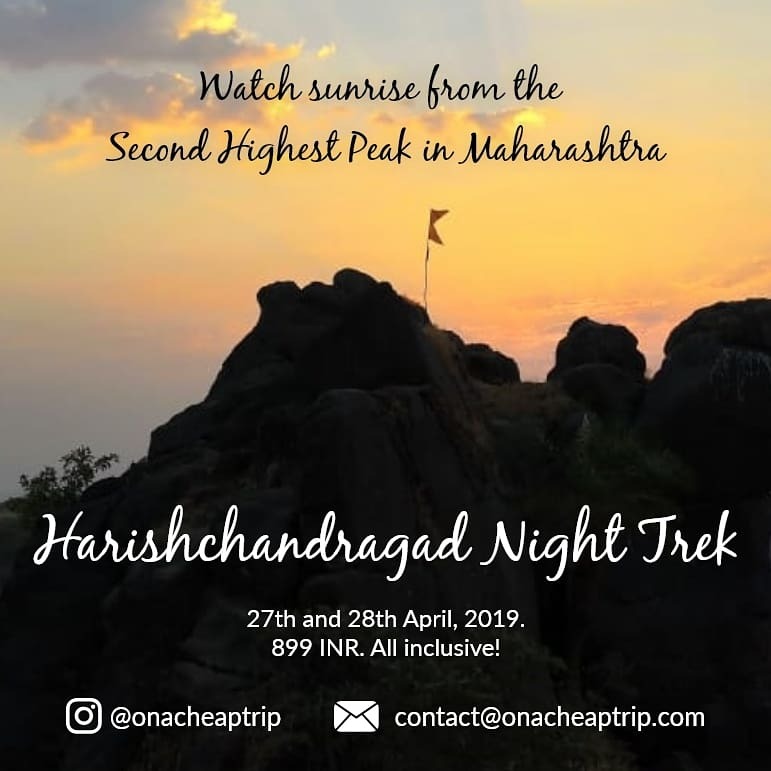 If you have more time in hand, you can visit Chandrabadani Temple, Kyunkaleshwar Mahadev Temple, and Dashrathshila Temple. The town is not that touristy and hence very less stay options are available. There are few hotels at the main road where the bus drops you. Also, near the main market, there are few Dharamshalas which charges around 200-300 INR per person/per night. 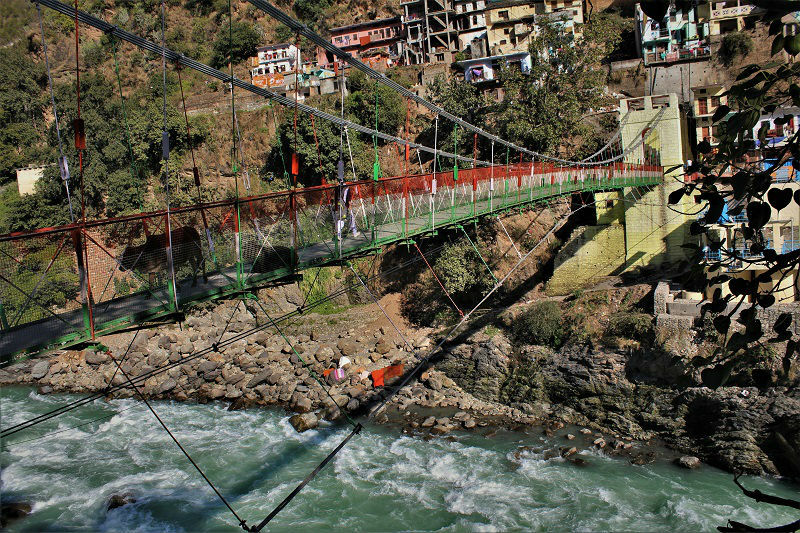 One can also opt to stay at Rishikesh/Haridwar/Pauri and visit the town on a day tour. 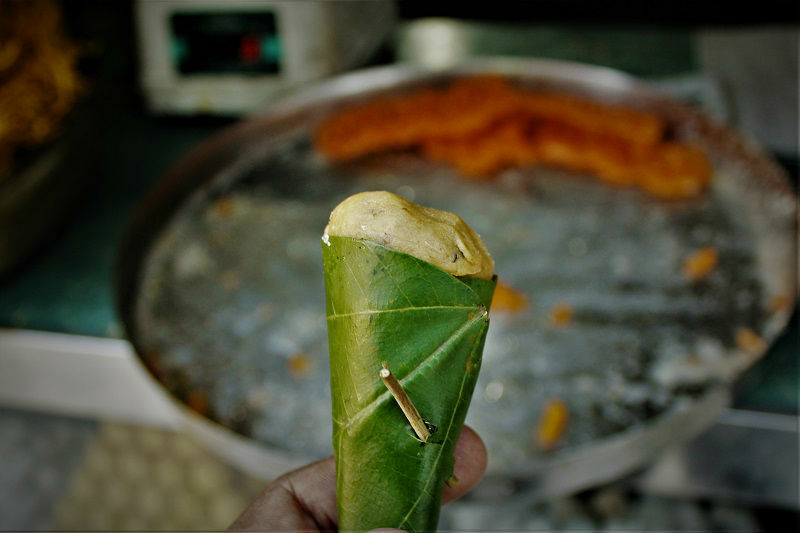 Don’t miss to try the famous local mithai made from Khoya such as Bal mithai and Singori mithai. The weather at Devprayag remains pleasant almost throughout the year. Winters are quite chilly as it is located at high altitude. Summer is pleasant and hence it can be a good option to visit the town in order to escape the scorching heat of the summer season.